Cologne 2013: the structure of this lightweight plywood chair by Eric and Johnny Design Studio of Berlin was inspired by I-beams used in the construction industry (+ slideshow). 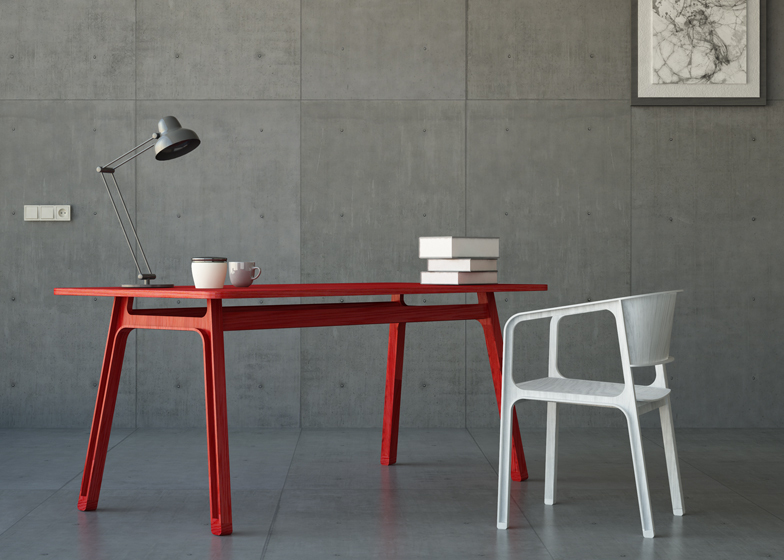 The Beams Chair is made from two grades of thin plywood, which is strong in both directions when compressed from the sides but weaker across its surface. To overcome this, the designers placed the components with their layers at right-angles to each other. 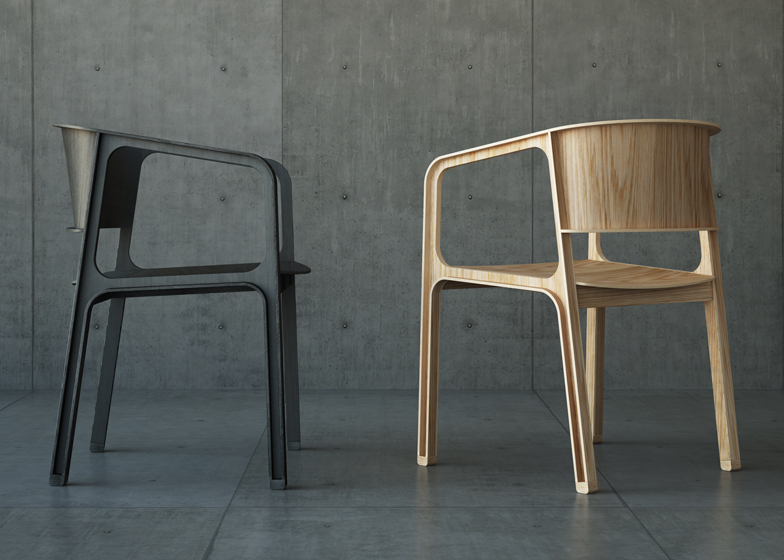 "By combining the two wood sheets so as to offer perpendicular wooden structures and build the I-Beam structure, there are two strong dimensions so the anti-twisting ability and compression strength as well as the stability of the chair are tremendously improved," they say. The legs are laminated while the seat and backrest are made of thin sheets, simply curved into the shape of the frame. 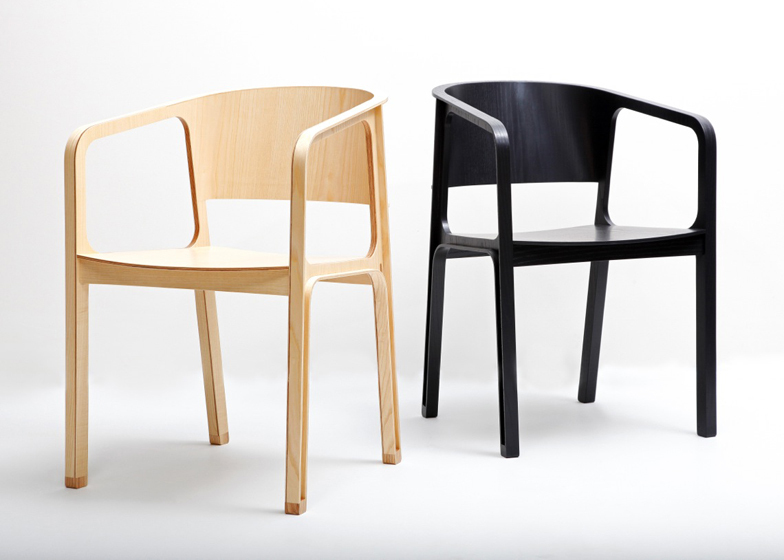 "Such design saves the molding cost of production and reduces the weight of the chair," the designers add. The prototype was made by Sebastian Bächer of Tischlerei Bächer and is currently on show as part of the [D3] Design Contest for young designers at imm cologne, which continues until 20 January. See all our stories about design at imm cologne in our event report. Eric and Johnny Design Studio is a Berlin-based product, furniture and graphics studio established by two Taiwanese designers, Eric Chang and Johnny Hu.